After receiving feedback, the design can then be improved in order to solve any problems discovered. This is an iterative process as after each redesign, it is necessary to receive additional feedback so that the product can be as close to perfect as possible. Improving the design can result in large changes that can affect both the overall functionality of the product, the goal it is trying to achieve as well as its aesthetics. It can also result in very small changes however that may be indiscernible to the average user but are nonetheless necessary to maximize functionality and aesthetic appeal. In the early stages of feedback, larger changes happen more frequently. 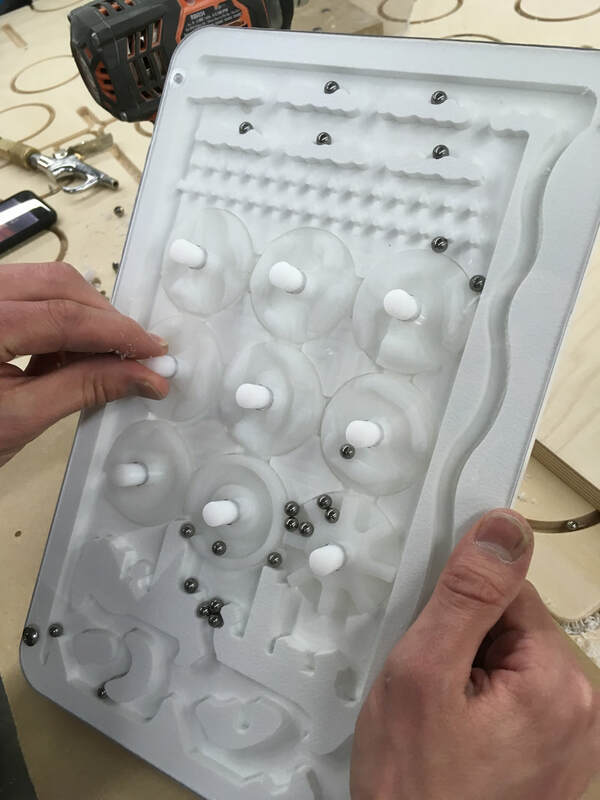 In the case of this project, an example of this is when the team changed the main body of the toy from being composed of multiple pieces, to one solid body. This eased manufacturing for the company it was outsourced to and cleaned up the overall look of the toy by eliminating the need for solvent to fix the pieces together. This was a large change as it required nearly all aspects of the toy to be modified in order to fit with the new design. As the project continues in to the later stages, smaller changes become more common. These can be small functional changes based on problems discovered from later prototypes. For example in this project a gasket was added to seal the gap between the main body and the cover of the toy. These smaller changes can also be required due to issues that arise from implementing other changes. For example upon changing to one part for the main body of the toy, all internal corners had to be changed to include an eighth inch diameter radius to account for the drill bit used on the CNC mill creating the part. This change is barely visible to the user but without it the part would not be able to be manufactured. The improvement process is a constant cycle of feedback being given, changes being made to reflect that feedback, further changes being made to accommodate those previous changes and then returning to receive more feedback. This cycle can be continued until the level of perfection desired for the final product is achieved however almost every product has room for improvement!